Our training reaches further than just curriculum and events. We assist our students in life-long skills necessary to job searching and everyday client interaction with additional assignments to build a strong business background and professional. 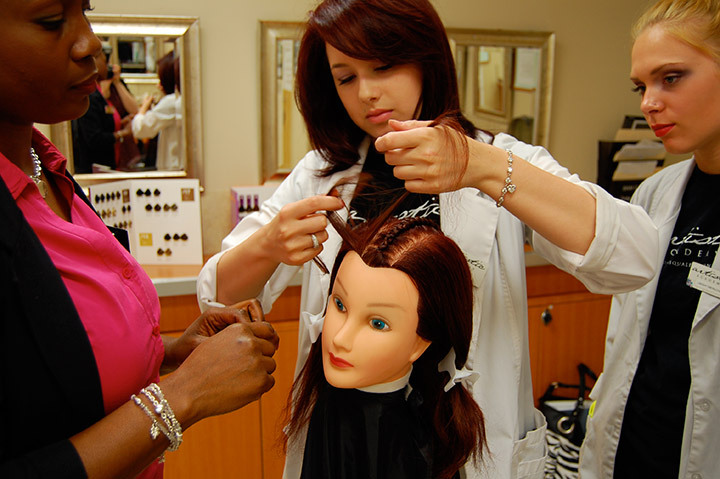 Character Awards – Interpersonal skills and communication are key to being successful in life and in the industry. Our underclassman start the year off with our Character Awards assignment to help build communication skills and camaraderie that will extend to the work environment. Look Books – An excellent method to market and expose a professional’s creative work and talent, look books are a necessary item in the industry. Students get a chance to review look books and create their own. 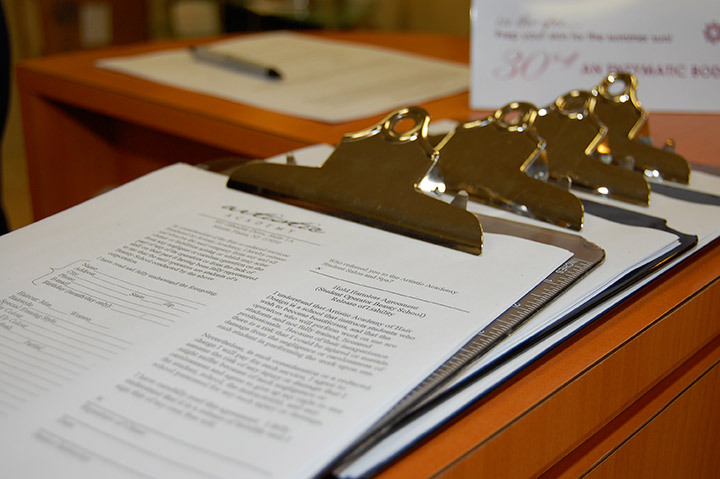 Boot Camp Day – In a busy world with busy lives, time management is key to success. Educators and administrators give time management assignments a fun twist by turning the school into a boot camp. Students are expected to complete assignments within allotted times, giving students a real-world view on time constraints. Open Panel – The beauty industry is growing and with so many options, which path is the right one? 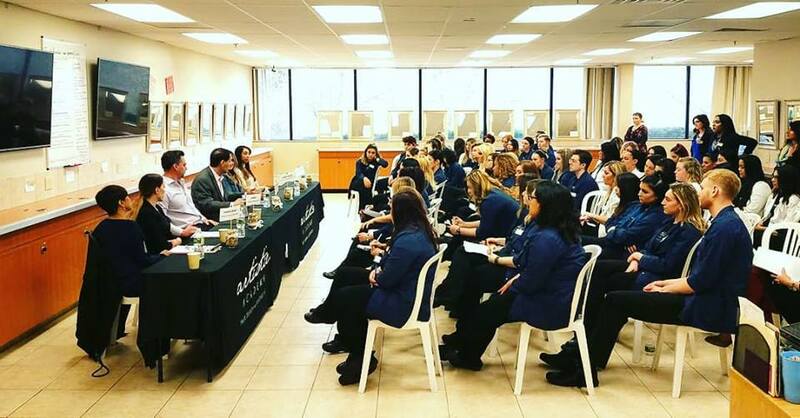 Industry professionals including a: salon/spa owner, president of a distributorship, make-up artist, hairstylist, free-lance artist and a bridal consultant all share their time and knowledge with out students. During the one hour-event, students have the ability to ask questions and gain an insight and advice into the various career paths. 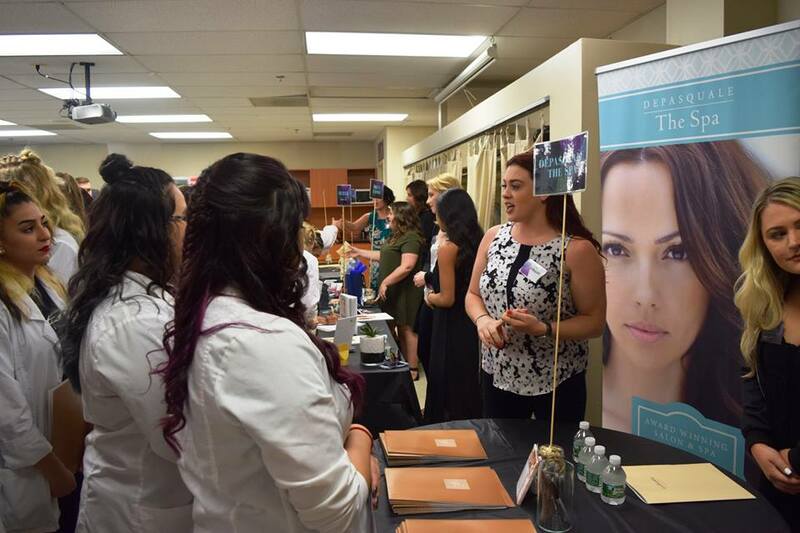 Career Fair – Industry professionals from a variety of Salons and Spas visit Artistic Academy and its students. 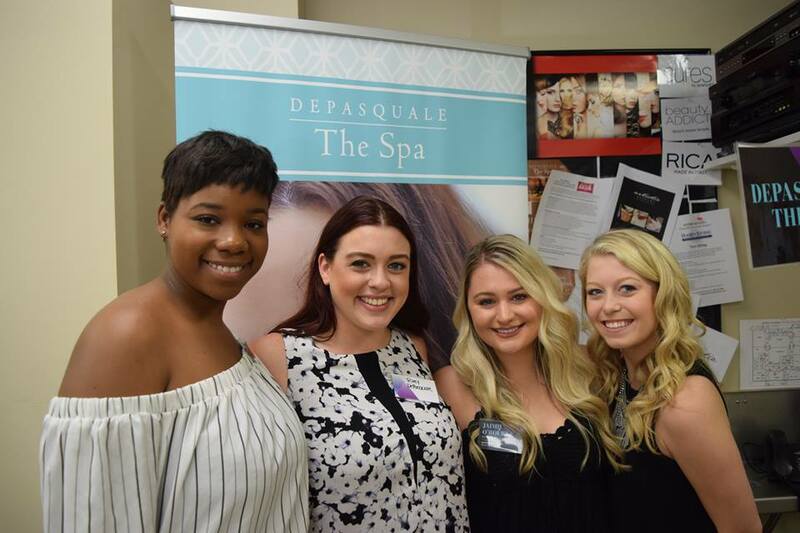 Students have the opportunity to network, ask questions, meet past graduates and submit their resume to hiring salons and spas. It’s all about making the right connection and helping our students get their foot in the door!